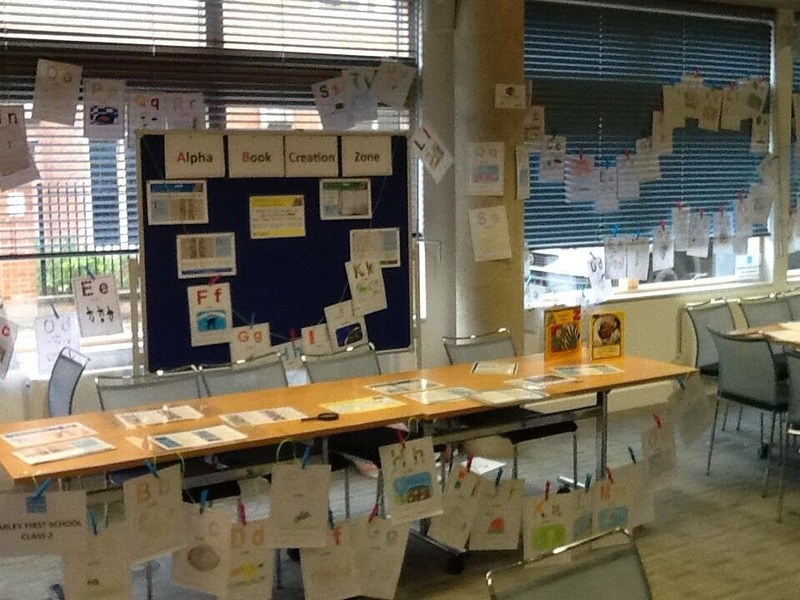 Friday was the Faculty of Education's day of events for Cambridge's Festival of Ideas. The Festival of Ideas is a two-week-long event where people from the university whose research is in the arts, humanities, and social sciences, host events in order to share their research with the community. The faculty's event, World of WordCraft, included different activities for people of all ages, from drama workshops to creating one's own stories. There were talks by our own Mary-Anne Wolpert and Fiona Maine on 'The Potential of Picturebooks' and 'Film Talk: To Infinity... and Beyond!' 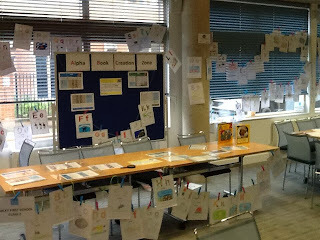 Amidst this I had my own pocket of activities centred on the history of the alphabet book. The project began as part of Rising Stars, an outreach training programme organised by the university. 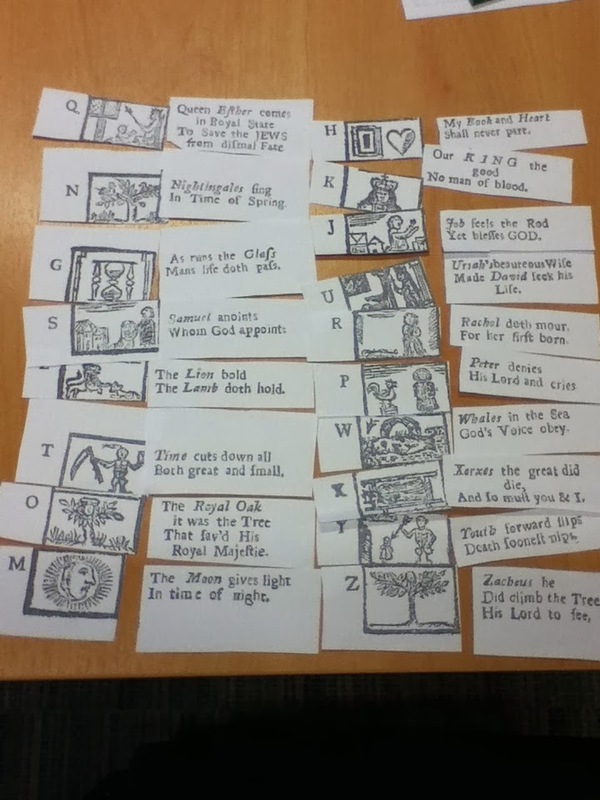 Two other researchers and I discovered that in each of our fields, from children's literature to medieval English to medieval medicine practices, alphabet books existed. 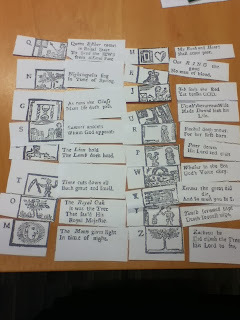 And these books sought not only to teach the reader their 'ABCs' but also a topic that was important to the author, and potentially the culture. For my own part, I brought the New England Primer to the event. Written in the eighteenth century, its purpose was to teach Puritan children how to read. The alphabet section features biblical teachings among more general ones about animals, providing this classic gem: A is for "In Adam's fall we sinned all". This quickly developed into a larger event for the Festival. With Jacqui Howard's help, I visited two local schools, Colville Primary and Barley First. 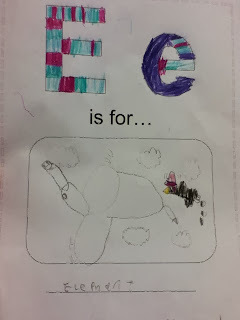 We taught the children about these older alphabet books and invited them to help us make new ones, which led to some great artwork, such as "A is for asstronot" and "M is for Mysterious Ninja". 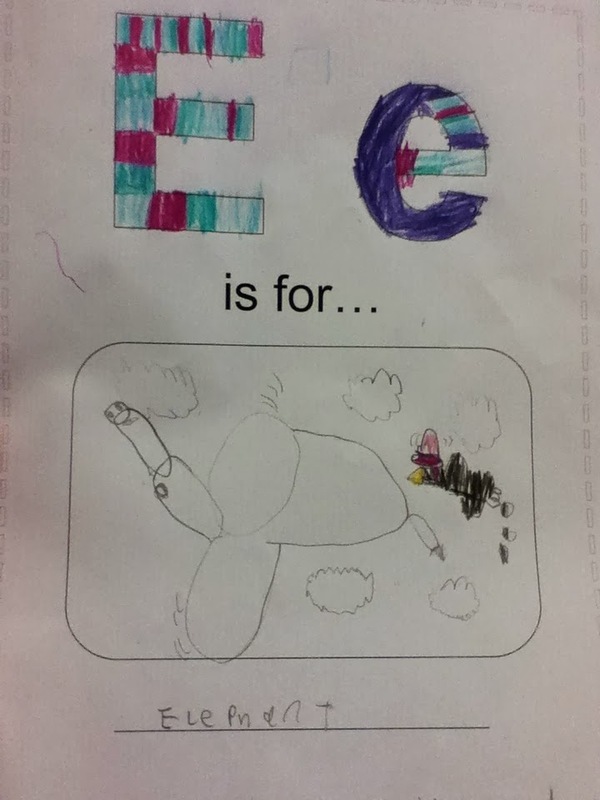 E is for 'Elephant', specifically Dumbo being followed by a taunting crow.